Paul McCartney’s bass lines are an integral part of the Beatles’ evolution from world-beating pop band to musical pioneers. We identify just what Paul did to make his parts stand out from what other bassists were doing at the time. In “A look at Ringo Starr’s enduring musical influence,” we analyzed the creative drumming of Ringo Starr in the context of his capacity to come up with simple, memorable drum parts that helped make each song unique. 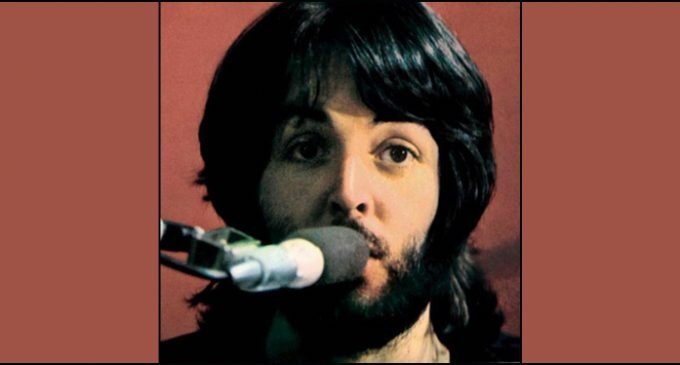 Continuing with this thread, Paul McCartney’s development as a bass player provides a textbook case for today’s songwriters and music producers on how a little creativity can go a long way to help make a recording stand out. Through the Beatles’ evolution, Paul McCartney’s bass lines became an integral part of each song’s texture, sound, and color. Let’s rewind through a number of Beatles’ tracks and identify just what Paul did to make the bass parts stand out from what other bassists of the day were doing. Usually a bass player will do this by playing a steady, repetitive bass line using mainly the root note of whatever chord is being played (C note on a C chord, G note on a G7, etc.) and occasionally the fifth or even the third of the chord as well. The image below demonstrates these chord tones and their relationship to the chord being played. Unique bass lines can be created around chord progressions by using these chord tones, but more often than not, the role of the bassist in a rock and roll band is to stick to the root note. In early Beatles albums, where the audience was primarily screaming teenage girls, we hear Paul sticking pretty closely to that role, with a few exceptions. Aside from the fact that early recording and amplification techniques did not treat the sound of the bass very well, the pop music they played in these early years was much simpler than what can be found on the group’s later albums. Listen to his playing on “Can’t Buy Me Love” and “I Feel Fine” – classics from 1964 – and you’ll hear almost nothing but roots and fifths in the bass part. The focus of these songs is on the vocals, so Paul (and Ringo, for that matter) kept things simple, with only slight variations on the powerful live performance techniques they had mastered over the previous three years of non-stop gigging. Released in December 1965, Rubber Soul marked a clearly audible change in direction for the Beatles. They were nearing the end of their touring days, and as the most successful pop band of the day, had the clout to insist that they be afforded significantly more time in the studio working out arrangements and harmonies of greater complexity than could be found on their nine previous US albums. What emerged was an album that featured a strikingly different sound when compared to their earlier hits, with influences ranging from Indian classical music to dense vocal harmonies influenced by contemporaries like the Beach Boys. It was on this album that each member of the band stepped outside the traditional roles of each instrument and sought out new ways to contribute to various songs. For example, consider John Lennon’s song, “Nowhere Man.” The bass line Paul played on this song mainly consisted of chordal tones. The image below contains music notation for an excerpt of his bass line. The colored notes (green for roots, red for thirds, blue for fifths) are all notes found within the chord played during that measure. Black notes are the “in-between” or passing tones he uses to get to the next chord tone. You can see that the bass line he created plays the root, third, and fifth of each chord in every measure, but does it in a different way for each chord, creating a memorable bass part that gives the recording a fresh sound. Paul’s bass line on “Nowhere Man” may have been his most active up to that point. He not only fulfilled the role of the bass by keeping time and providing a harmonic base, but he added greatly to the energy and groove of the track. His bass line, with its constant motion and runs, smoothly leads into the next chord, propelling the record along. If your song needs a boost of energy, emulate Paul’s approach to keep your listeners tapping their foot to the song’s groove. In 1966, when The Beatles stopped touring altogether and became exclusively a studio band, each member’s musical contributions grew tremendously. Each song was viewed as a palette for them to expand their musical creativity. Rightly considered one of the greatest albums of all time, Sgt. Pepper’s Lonely Hearts Club’s Band helped to redefine the role each instrument would play in pop music, and Paul’s bass playing epitomized this sea change.